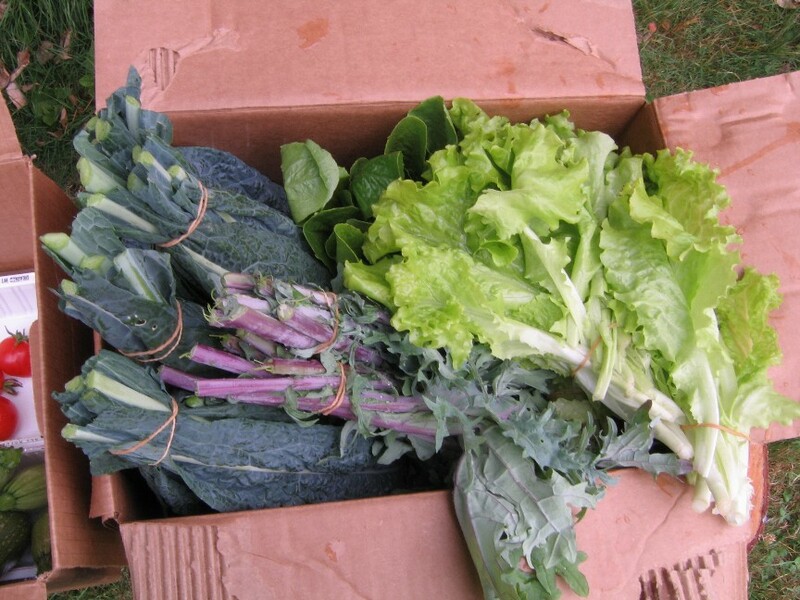 We delivered our first produce donation today! It was a small one, just 7.3 pounds, but everything looked delicious! 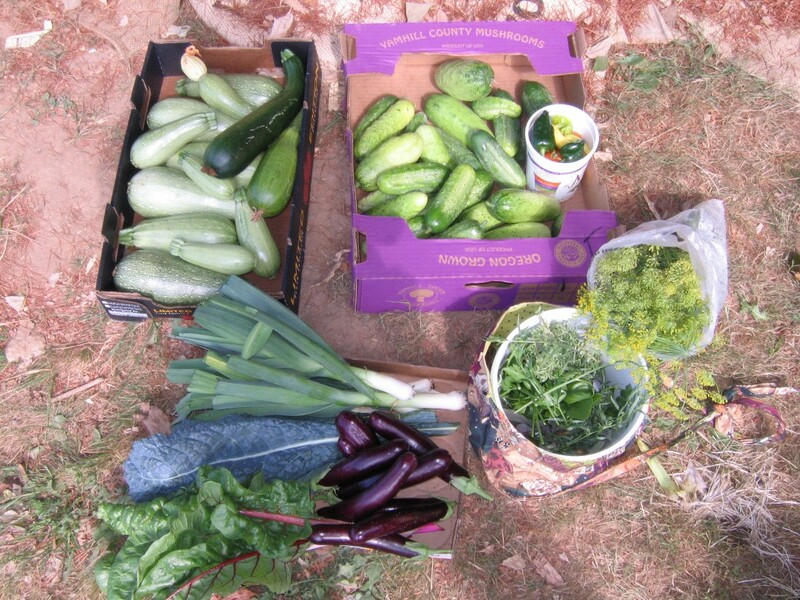 We donated rainbow radishes, Magda summer squash, basil, and 4 little tomatoes from our harvest sharing plots. Gardeners contributed lettuce, kale, red radishes, and green zucchini from their own plots. 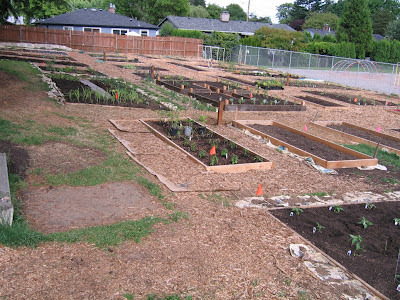 A big thanks to the Campbell Community Garden donation plot sponsors, Tempus Dictum Inc. and Badbeard Microroastery for their cash sponsorship of the plots. And thanks to Hansen Family Farm for their donation of tomato and eggplant plants. 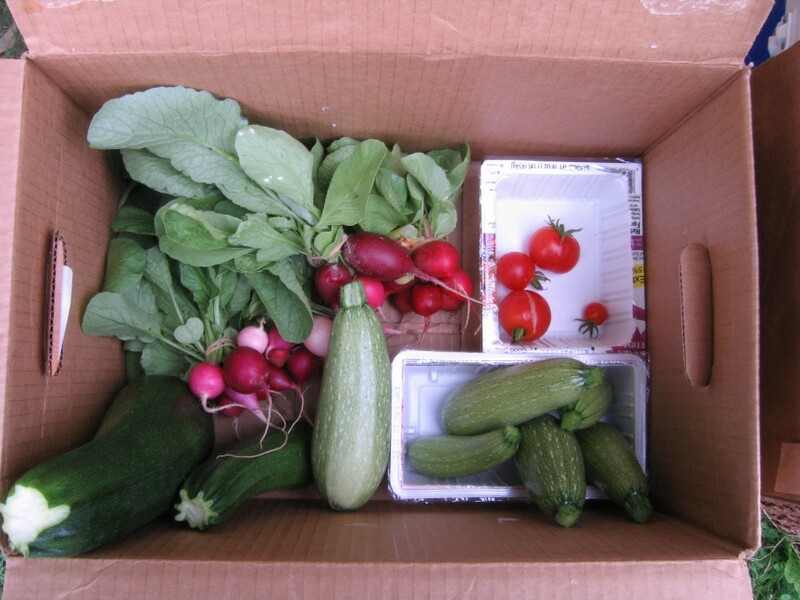 Thanks to the gardeners who shared produce, and for our garden volunteers who helped last night with planting basil, parsley, and radish, bean, and beet seeds. Our tomato plants have really appreciated the recent warm weather and are starting to really grow and flower, a few even have small fruit. Tomatoes left to grow on their own tend to vine and sprawl all over the ground. 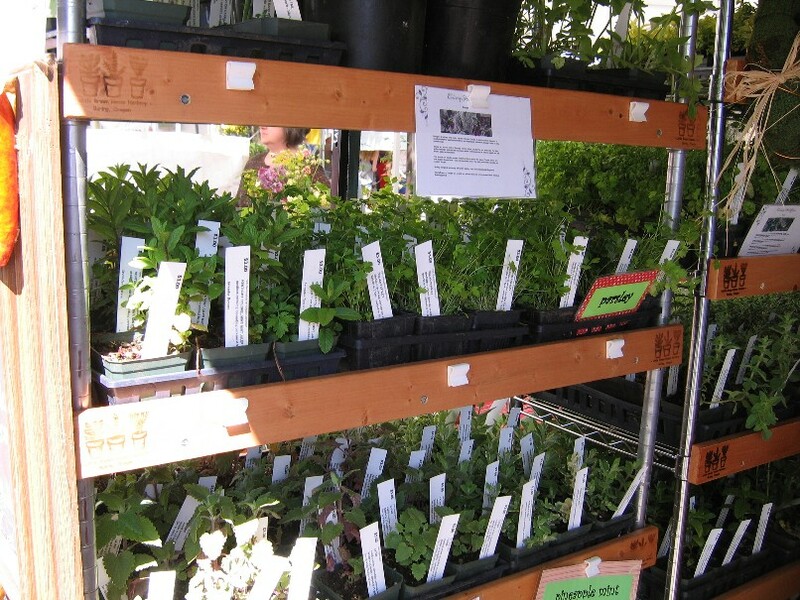 Taking the time to train them to grow up onto a structure of some kind will reward us with healthier plants with fruit that can be easier to pick. 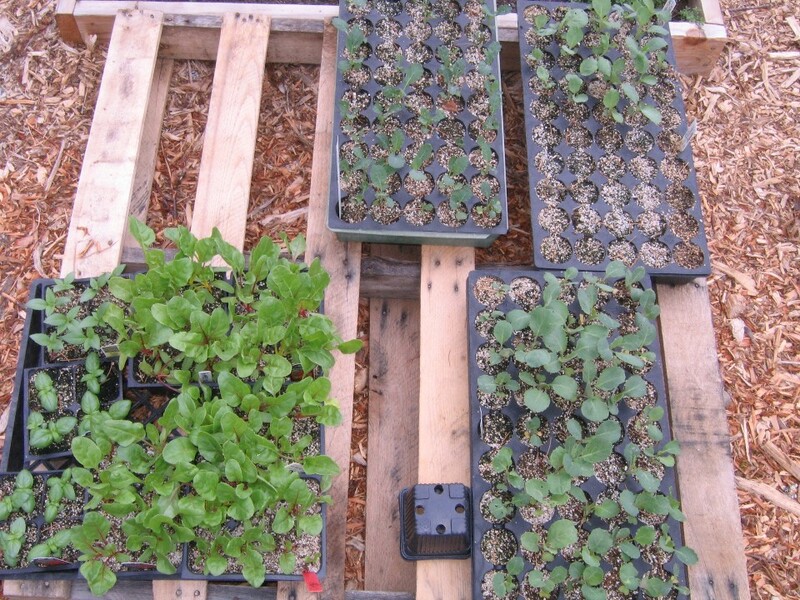 Campbell Gardeners are employing several different methods of training their plants. 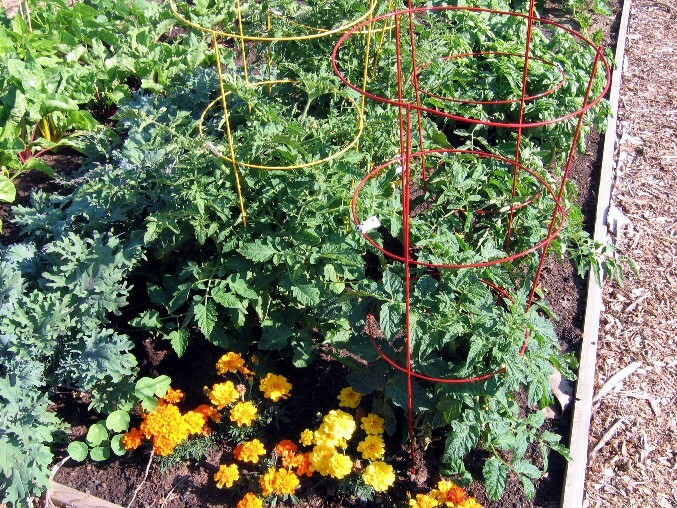 Traditional style tomato cages in yellow and red complement the marigolds for a pretty combination...imagine red ripe fruit in this colorful mix! 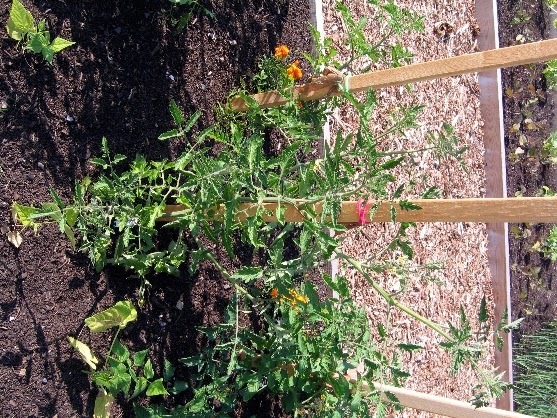 One of our Square Foot Gardeners is trellising their tomatoes on netting and PVC pipe. This gardener decided to try out a combination of metal T-posts and wire after figuring out the cost to outfit his large number of plants with traditional cages...I think we could name his system a "Tomato Corral"
This gardener isn't growing tomatoes sideways, it just looks that way. They are staking their plants to wood stakes and are using old pantyhose and pipe cleaners to keep them in line. 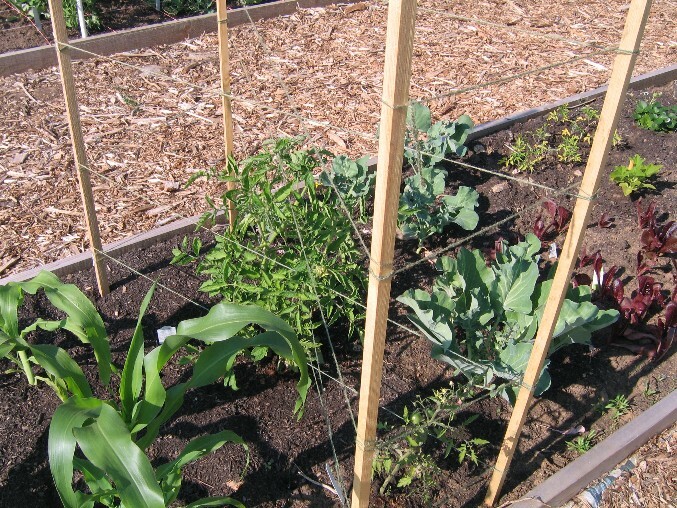 This gardener is using stakes and twine to make a cross between a cage and a trellis. 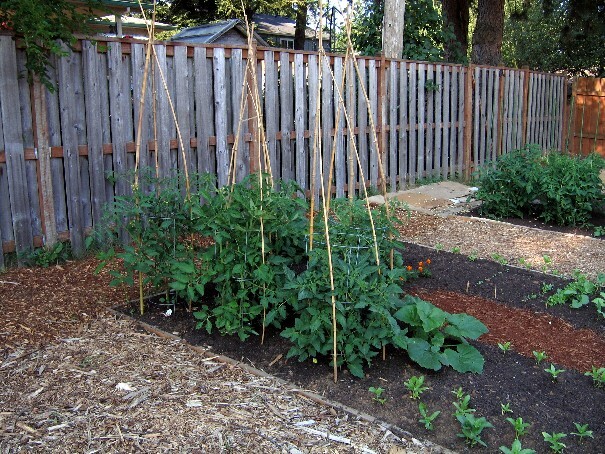 This gardener found a very attractive solution to tomato cages that want to topple over. They enclosed the cages in bamboo tee pees. 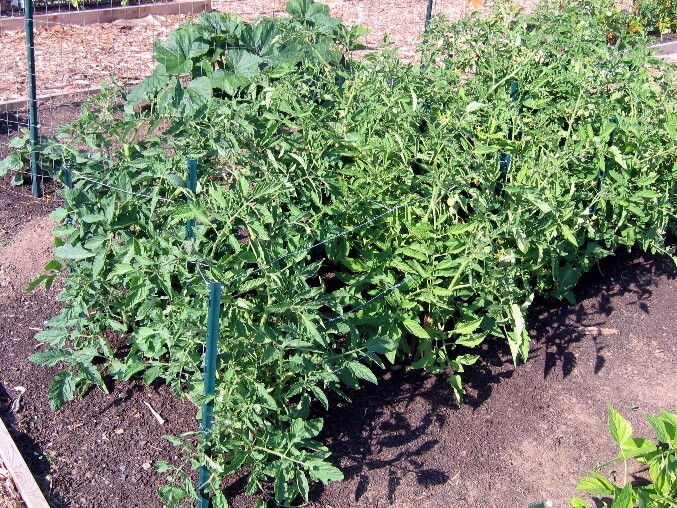 For detailed instructions on how to prune and train tomato plants, see the two videos below. 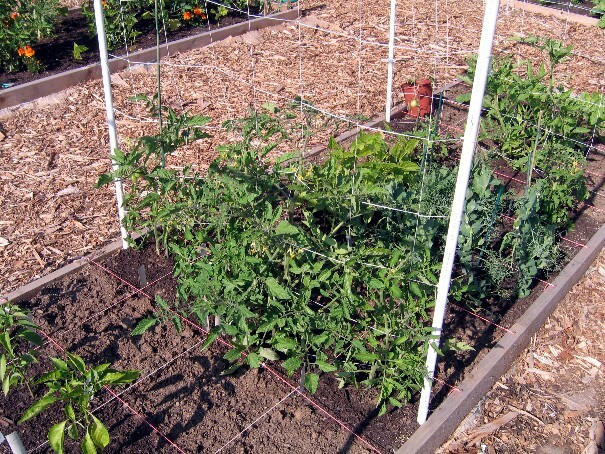 Here is a link from Fine Gardening Magazine on pruning and trellising tomatoes. Once all of our paths are coverd with cardboard and wood chips, we can say we are done with the construction phase of Campbell Community Garden. As long as we get our planned wood chip delivery tomorrow, we will be done with construction by the end of the weekend! 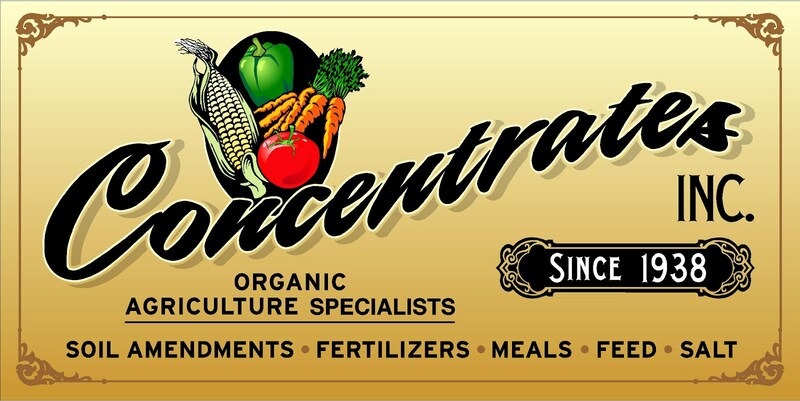 Work days are planned for Thursday June 14th from 3:30 to 7pm and Saturday from 10am to Noon, our grand opening celebration will be at 4pm on Friday June 22nd. 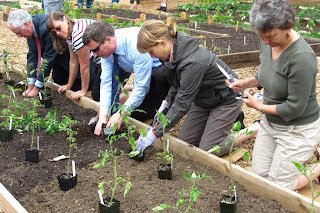 Today is the official start to planting at Campbell Community Garden! We have just a few more paths to finish up, and only 3 plots left to rent. The Hansen Family Farm Booth is a busy place! The veggie starts in the Hansen Family Farm booth have nice descriptive signs, thier website also lists good info about each variety. Little Brown House Herbary: http://www.facebook.com/littlebrownhouse.herbary I couldn’t find a website for them other than this Face Book page. 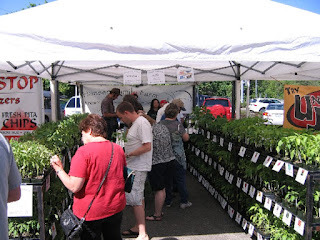 According to the listing on the Milwaukie Farmers Market vendor list, they are from Boring, Oregon. Their booth at the market had a very nice selection of culinary herbs. 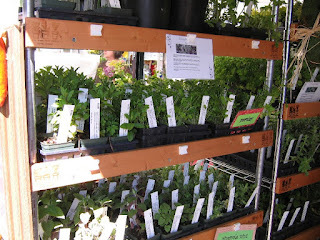 The Little Brown House Herbary booth is full of culinary herbs, nicely tagged with descriptions. There are only four plots left to rent for the 2012 growing season! There are two 10 x 10 foot plots available, $40 for the year, and two 4 x 12 foot plots, $30 for the year. Sign up on the Registration page. We have two more construction work days scheduled: Wednesday (5/30) and Thursday (5/31) 3:30pm to 7pm. We will finish building the paths and cover them with wood chips; all to prepare ourselves for the first day of planting: June 1st! 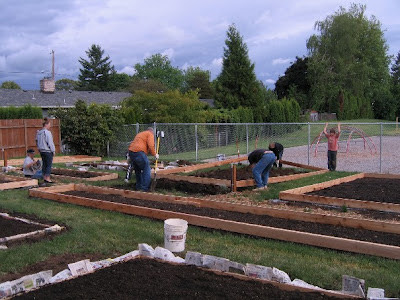 CCG gardeners work together to build garden plots. The total volunteer hours donated to the construction of Campbell Community Garden as of today is 243 hours! This is for construction only, there have been many more hours donated in the planning phase. Thank you to the hard work of all of our dedicated volunteers. This weekend we need more help! 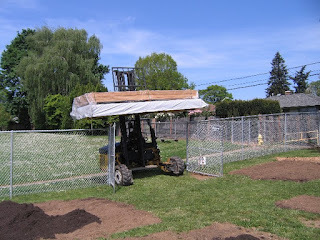 We are on the home stretch of construction, the main tasks left to complete before planting day are installing the cedar bed frames and building the paths. Please be a part of breaking the 300 volunteer hours donated mark! Saturday May 26th, 10am to 2pm Moving mulch, setting bed frames, and covering paths with cardboard and mulch. We continue to make fast progress towards planting day at Campbell Community Garden. Between Friday afternoon and Saturday afternoon CCG volunteers put in 96 hours of work removing sod, hauling compost, and tilling the planting beds. 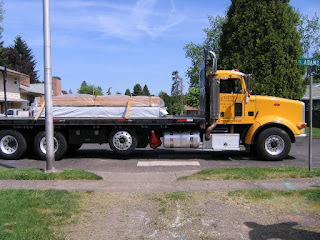 On Monday morning we had two big stacks of cedar delivered to the garden. 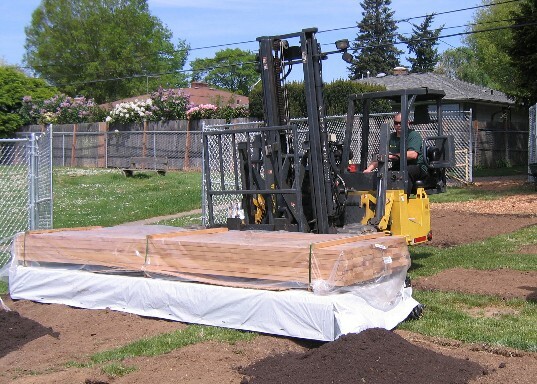 A reduced price and free delivery by Milwaukie Lumber, a donation from Greg "Frank" and Michelle Hemer, and $500 from the the Clackamas County Master Gardeners Gray Thompson Community Projects Grant Program, allowed us to purchase enough cedar to edge all of our paths and planting plots. The edging will help to reduce the time needed to keep the beds from encroaching into the paths, making the garden easier to maintain. 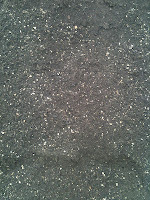 Our next work day, Saturday May 19th (10am to 1pm) will be spent installing the edging. Glad we planned a wide gate! 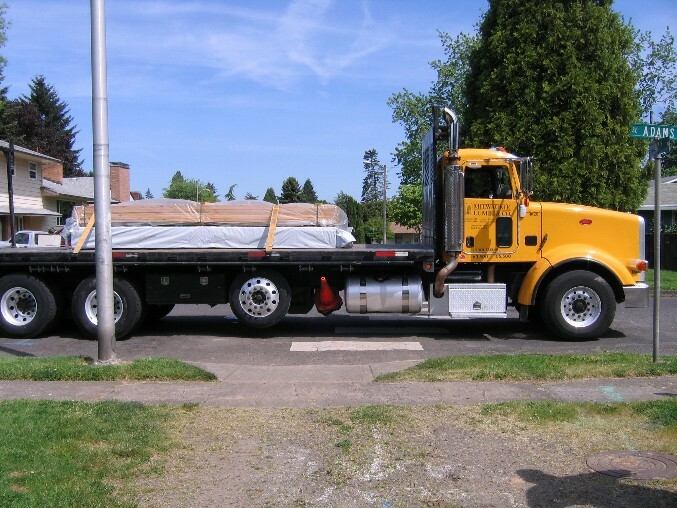 The fork lift delivery saves our volunteers the work of hauling the lumber from the street. 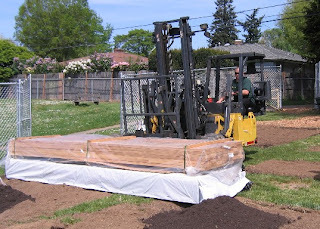 Friday 5/11 3:30 to 7pm: sod cutting and tilling, and moving compost. 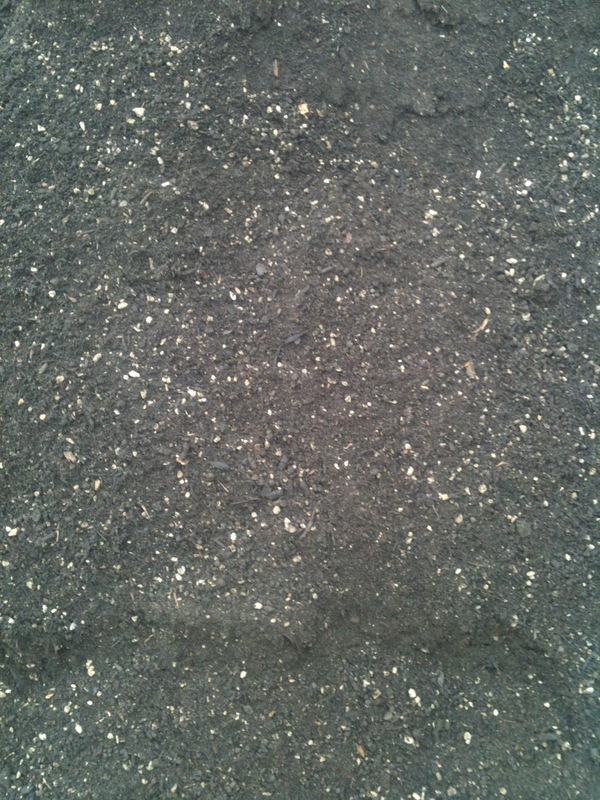 Saturday 5/12 9am to 2pm: tilling and moving compost. If you want to volunteer on one of our first big work days, please let us know when you will be able to help; and if you have a friend who would like to volunteer some time, invite them too! I have reserved a Toro Dingo for Friday (5/11) afternoon through early afternoon on Saturday (5/12); that should be enough time to get all of the beds tilled; but, just in case there isn't time to get to them all, we will till the beds already rented first. If you want to rent a plot, fill out the form on the tab at the top of this page! We will be working from 3:30 to 7pm on Friday May 11th, and 9am to 2pm on Saturday May 12th. It would be great to have groups of 3 or 4 volunteers working in 2 to 3 hour shifts over the weekend. 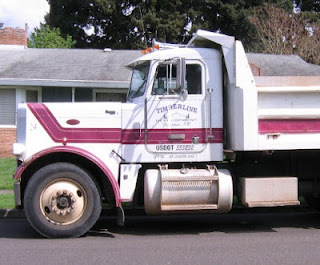 I will have our first load of compost delivered on Friday to spread over the weekend. Please RSVP so I will know how many people I have for each shift. I need someone with a vehicle that can tow the Dingo to volunteer to pick up and/or return it with me at Johnson Creek Rentals. Since we won't be able to till tomorrow (5/5) we can attend the soil health class at Saint Paul church (10am to Noon) and the Clackamas County Master Gardeners Plant sale in Canby! April showers bring May flowers. May downpours make for an impatient CCG director! On Saturday, Landscape East and West installed our waterlines and hose bibs. 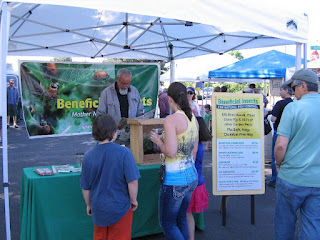 They generously donated the double check, timer, pipe, hose bibs, etc. and their employees volunteered their time and cut no corners to professionally install our water lines and eight hose bibs. Thanks to them, CCG now has a water system built to last for many years. 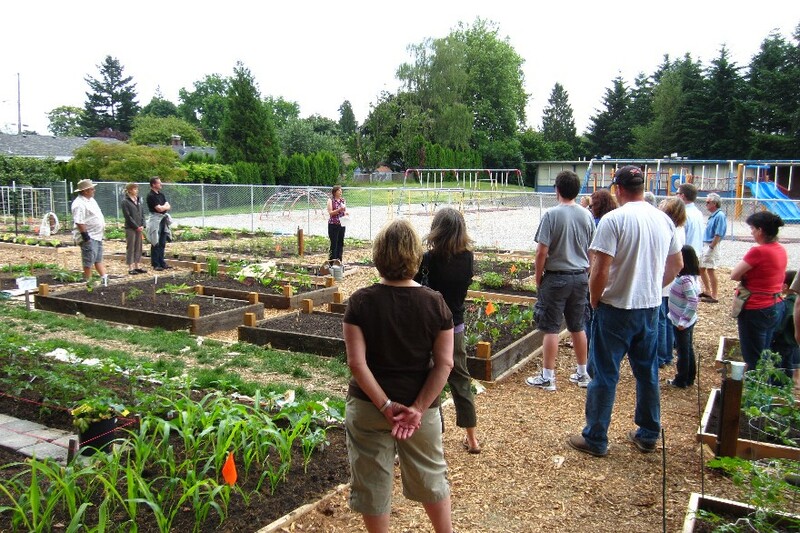 The Hector Campbell Neighborhood is ready to break ground on Milwaukie’s newest community garden at the NE corner of the grounds of Campbell Elementary School (off of Adams Street). The garden will have 28 plots for neighbors to rent and four plots for growing produce to share. Garden Work Days will be held most Saturdays in April (depending on dry weather!) Check back on this website to confirm dates. If the soil is too wet, we won't be able to work. NOTE: the list below has been edited (4/4/12), the wet weather has put us off schedule; we will post dates once we have an idea of when the big tiller can get it to do the first tilling. If the weather allows, we will have work days Saturday 4/14 & 4/21, plus a weekday afternoon or two. Please RSVP to Sarah Smith, 503-653-0015 so we will know how many people we will have helping. 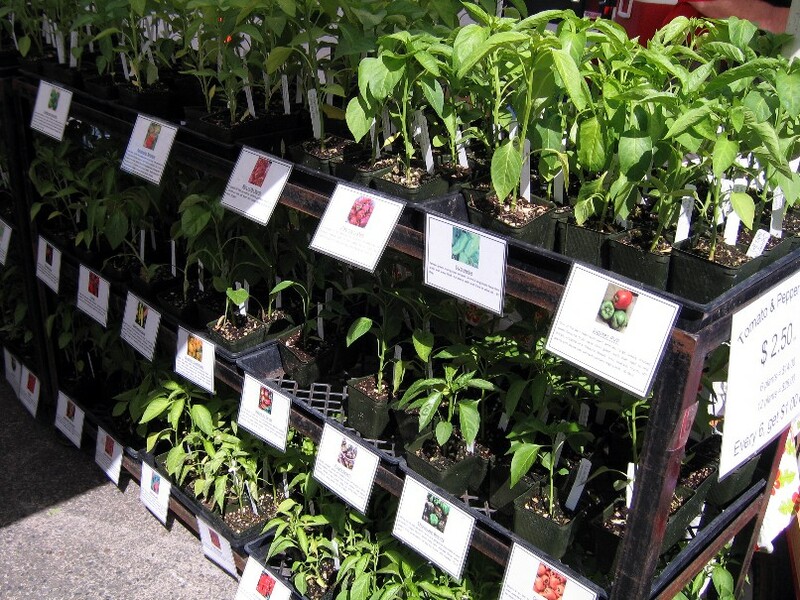 Campbell Neighbors: Register for your garden plot NOW! We are waiting for a lease agreement from the North Clackamas School District, however we have moved forward with our planning. 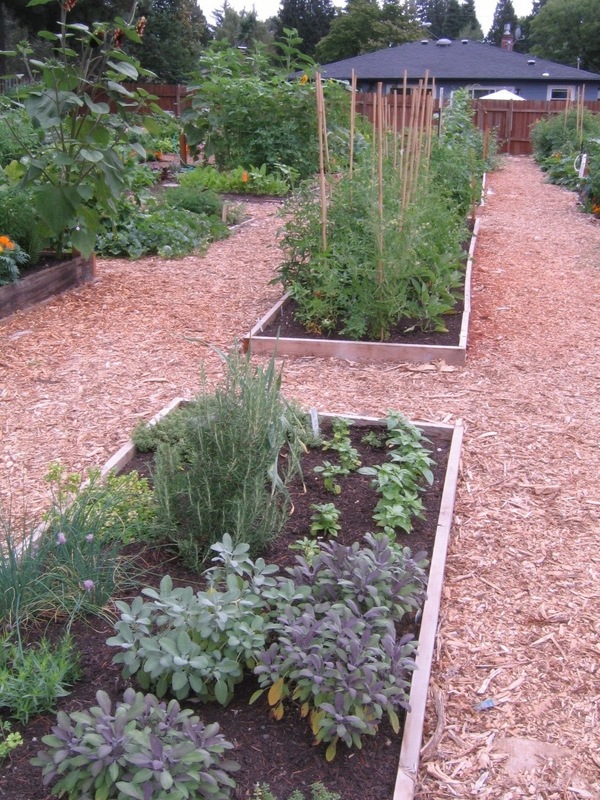 The garden will have 28 plots to rent, ranging from about 50 square feet up to 200 square feet. The cost to rent a plot is still being figured out; once we know more about the operational costs (especially the cost of the lease), we will set the fee. We expect it to be in the range of $30 for a small plot and $60 for a large plot. The garden will also have four plots where volunteers will grow crops to harvest for donation. Wichita Sanitary Service is donating the pick up of a can of weekly plant debris from the garden. This generous donation will help our gardeners by limiting the amount of debris they will need to haul to their homes for disposal. Landscape East & West is donating the materials for getting water to all of the plots (pipe, hose bibs, back flow prevention, etc.) AND they have some employees who are willing to donate their time to help us install the pipes! Our garden volunteers really appreciate the help Landscape East and West's of highly skilled labor. Registration is open now, you will find the form on a tab at the top of the page. We will assign plots to those living in the Hector Campbell Neighborhood first, and then open it up to the entire city (assuming plots are still available) on April 15th. If registration numbers exceed the plots available, we will create a waiting list. At this point we do not know when the garden will be ready for planting, a lot depends on the weather in March and April. Thanks to the steering committee for their hard work on the planning of the garden, and to those who have committed to donating to the garden. This garden will be a great addition to our neighborhood!